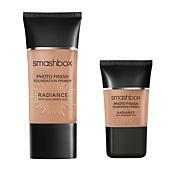 A non-greasy, quick-dry formula that acts as a makeup magnet to help lock in foundation for a lasting photo finish. This is a great product. I find it incredibly hydrating and my makeup looks better all day than when I use my nyx angel primer. It looks so good and helps my foundation give me kind of a natural, dewy look. It's fantastic. I'm going to have to buy more. 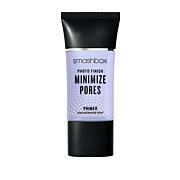 Buy the sample size if primers are hit or miss for you so you can test it out, but it's a pretty decent primer. Works wonderful for drier skin- no silicone feel! I love this new idea in primers. I'm a newly turned 61 year old with good skin. I use sunblock which has zinc in it, the best kind of sunblock but it tends to be dry after I apply my skincare. 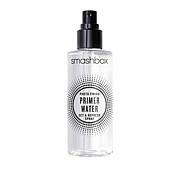 I have a few primers, I try many kinds but this takes away any dryness with sunblock. It helps my liquid, and cream foundations go on smoothly without the silicone load primer feel. It's good for skin as well if you don't even use a sunscreen - skincare & primer. Makeup looks really nice after applying!. this moisturizer primer really works. It keeps my make up fresh for about 6 hrs. it does not make my face feel smoothe and when i put my foundation on it feels a little rough. I like it. 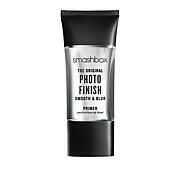 It's over priced and when this is done, I will go back to using the plain smashbox photo finish primer that I love.